Take a tour of downtown St. Paul… on skates! Grab your friends and family and head down to the Landmark Center for Wells Fargo Winter Skate. Not only is it free to skate, but the twinkling lights of Rice Park and elegance of the Landmark Center make for a picturesque setting, too. Grab some hot chocolate, cider, and a loved one and enjoy a ride through Betty Danger’s Rooftop Winter Wonderland Display. A vertically revolving sleigh ride, this winter wonderland is surely unlike any other. For just $8, you can get a hot mug of cider or cocoa—or spike it for just $3. This is a winter wonderland you won’t want to miss. Explore the icy twists and turns of the Stillwater Ice Castles during the day or at night. With beautiful glacial blues during the day and a unique, icy glow during the night, there’s never a bad time to walk around this winter wonderland. Who says you can’t enjoy a farmers market during the winter? Swing by either of these locations for farm-sourced items. Wander the halls of the recently renovated St. Paul State Capitol building on a 45-minute guided tour. Learn about Minnesota state history, the building’s architecture, and more. All tours are public and leave at the top of the hour from 10 a.m. to 2 p.m.
From a motion lab to a race against a T-Rex to basketball high jumps, the Science Museum of Minnesota’s Sportsology exhibit is perfect for all sports lovers and kids-at-heart. Find your inner Ricky Rubio and learn the science behind the sport. If you’re looking for some talent, strength, and incredible athleticism, the Minnesota Regional Pole Competition is an event you’ll want to put on your calendar. With amateur and professional performances, including a youth exhibition, adult exhibition, women’s, men’s, and doubles, you’ll be blown away by the artistic, classic exotic, performance theater, and pole sport performances. Show the kiddos in your life the world of science, technology, engineering, and math (STEM) at the Science Fusion exhibit at the Science Museum of Minnesota. Different events include African-Americans in Science, ¡Amantes de la Ciencia!, American Indians in Science, and Asian-Americans in Science. A subgroup of the Twin Cities Prime Timers Club— which consists of older gay or bisexual men—this book club meets on a monthly basis at the Quatrefoil Library. Join them on the third Saturday of each month from 1:15-3:15 p.m. On Jan. 20, Beyond Paradise: The Life of Ramon Novarro by André Soares will be discussed. After hosting the Red Bull Crashed Ice event for the past six winters, the Cathedral of St. Paul is ready to welcome the high-speed skaters yet again. 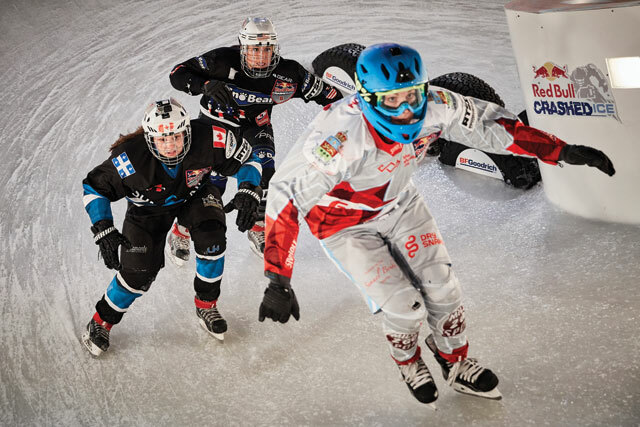 Come watch as they race their way to the bottom of a long, obstacle-filled track—all on ice skates, of course. Calling all baseball fans! Baseball is no longer just a summer sport. Come to TwinsFest to celebrate the Twins players, Target Field, and the sport of baseball. Throughout the weekend, more than 60 players, current, past and future, will be making appearances. Frolic through the snow at the Minnesota Historical Society’s Pine City Winter Frolic event. Learn about winter fur trade while enjoying activities like curling stone, Ojibwe snow snake, and snowshoeing. The frozen Minnesota lakes aren’t just for ice fishing, dontcha know? The Art Shanty Projects are open every weekend regardless of weather to showcase art in a unique public space: on the lake. Learn about art, the environment, and how the two often go hand-in-hand. The St. Paul Winter Carnival has been a Minnesota tradition for over 130 years, which makes it a must on your winter to-do list. From its ice sculptures to the Pioneer Press treasure hunt, the St. Paul Winter Carnival is a family-friendly event to get you out of the house this winter. 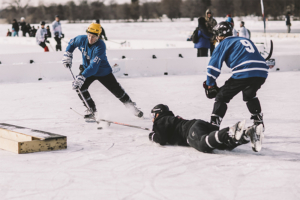 Whether you come to play, to volunteer, or to watch, the U.S. Pond Hockey Championship will surely keep you entertained despite the chilly weather. Who’s gonna win the Golden Shovel this year? From the Great Lakes Pond Hockey Tournament and the Guns & Hoses pond hockey game, to ice sculptures and ice racing, the Lake Superior Ice Festival has something for everyone. Get your winter sport on with Enbridge/UPI half-pipe snow sliding, or relax by the fire and make some s’mores. 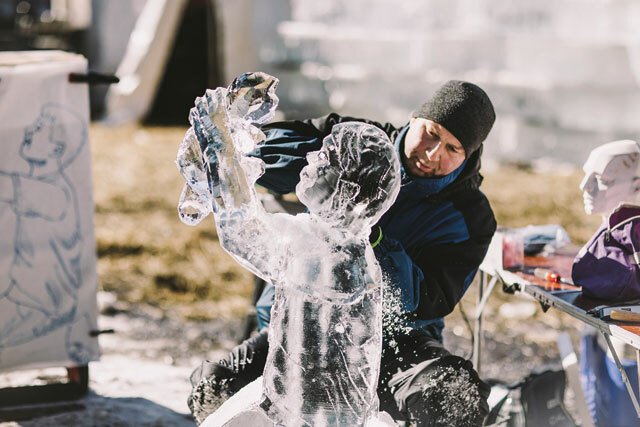 The possibilities are endless at the Lake Superior Ice Festival! Kites in the winter? You read that right! Come join in on the family fun of flying kites of all shapes, sizes, and colors over the frozen sea of Lake Harriet. Other festival activities include ice fishing, horse-drawn wagon rides, snowshoeing, and a marshmallow roast. Indulge in all-things-winter at the Winter Adventure Family Day event at the Forest History Center in Grand Rapids, Minnesota. From snowshoeing and cross-country skiing to bullet sleds and snowball fights, this is the ultimate winter party. Also, enjoy live music, a vintage ski exhibit, carnival games, and wildlife presentations with live animals. Alas, it boils down to one important question: Star Trek or Star Wars? 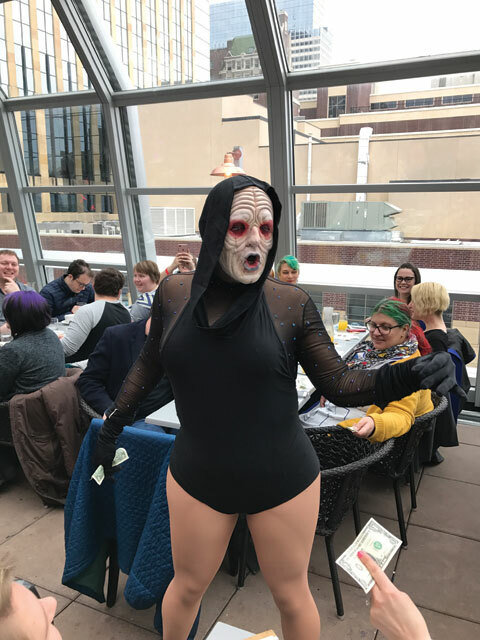 Pick your side at the Star Trek vs. Star Wars Drag Brunch hosted on the Union Rooftop. Dress as your favorite character and get ready to defend your galaxy. Get ready to slide like you’ve never slid before. 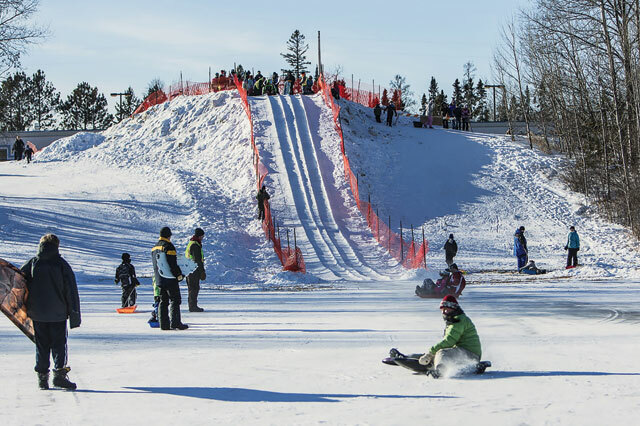 At the Iron Range’s Laskiainen Finnish Sliding Festival in Aurora, MN, you can enjoy live music, food, crowning of the queen, and of course, sliding. Nothing says “love” like blood, sweat, and tears. Run toward—or away from—love at the Valentine’s Day TC 5K hosted at Lake Nokomis. Join the runners at 10 a.m., sport a back tag that says “single,” “taken,” or “it’s complicated,” and mingle away. Celebrate Valentine’s Day with poetry, Victorian language, and your date for the evening, James J. Hill. Poetry by Poe, Dickinson, and others will be performed, and guests are invited to bring a short piece of their own poetry, too. Every beer and/or food lover’s dream has come true! Some of Minnesota’s finest breweries and restaurants are coming together to provide high-end beer and food at Winterfest. Enjoy locally brewed craft beer and support some of the best local chefs. Everyone dreams of leaving the frostbitten days behind them in exchange for a tropical beach vacation, but that can be nearly impossible in a drawn-out Minnesota winter. Not anymore! Join Wishes & More for a night of giving and sunbathing at the Winter Ball. The theme is Beach Ball: Glam in the Sand, so throw on some flip-flops, grab a towel, and help children fighting terminal illnesses. Join Emperor XXV Darin Hatch & Empress XXV Tonia Lee Richards for Coronation 26 Night. Coronation 26 will be hosting a series of events throughout the weekend including an In-Town Show, an Out-of-Town Show, and a victory brunch after the night of the Coronation. If you like being grumpy and eating good food and playing games while doing it, you’ll love the Grumpy Old Men Festival in Wabasha. 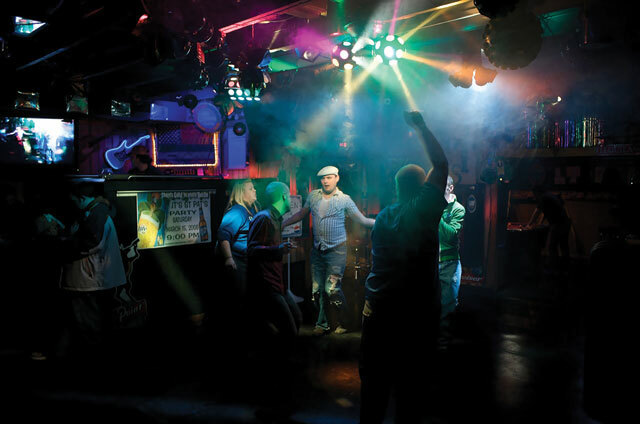 Activities range from a luncheon to bingo, a Grumpy Plunge, and live music and entertainment. Escape the Minnesota winter and travel through space: the sun, moon, and stars, that is. This year’s Fur Flee, located in Superior, WI, will have an island beach party, a midnight leather/gear party, and an astrology party. 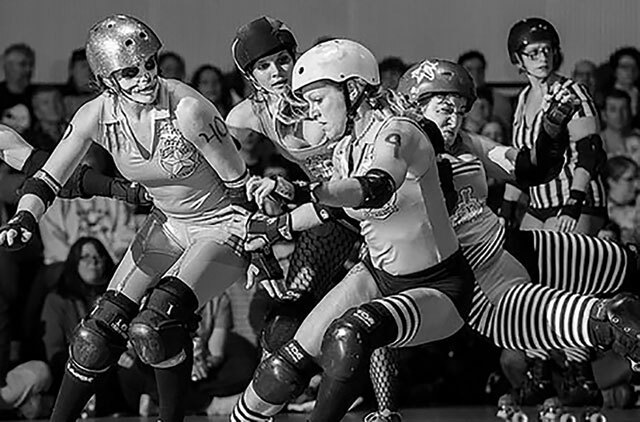 Come cheer on the MN RollerGirls as they compete in the championship of season 14. The winning team takes home the Golden Skate, and you’ll go home with a freebie RollerGirls t-shirt if you’re one of the first 200 to show up. Join your thousand closest friends at the 32nd annual Bock Fest at Schell’s. Not only will there be live music and a cozy bonfire to protect you from the chilly Minnesota air, but also a Bock Medallion Hunt. Winter has never been so fun. Free admission and wine tasting? Sign me up! Come to Winehaven’s Winery and Vineyard for their Cabin Fever Days. Taste, purchase, and learn more about their wine, the process of making it, and the aging process in the cellar. Running is the perfect way to warm up during the winter months, especially when it includes cool gear, a finish festival, local food, and a celebration of Minnesota. Cool Walk, Warm Hearts is the theme of this year’s MN AIDS Walk starting in Boom Island Park. The walk will take place from 3-7 p.m., and it includes activities for kids and adults, as well as places to warm up. If you can’t walk, consider donating and help MN AIDS Project reach their goal of $200,000. The second annual Opportunity Conference, hosted by the Rainbow Health Initiative, is coming to Minneapolis to discuss disparities experienced by the GLBT community. Health providers, practitioners, researchers, and policy makers will be coming together to have these important discussions.